New cell phones can cost several hundred dollars, particularly when purchased without the subsidy of a new service contract. While the particular circumstances can vary substantially, it is oftentimes possible to find a great deal on a used cell phone that is just as good as its brand new counterpart. This allows you to get a cheap replacement if you're still waiting for a contract renewal or if you are simply shopping for an inexpensive handset without having to be tied down to a new service agreement. There is a growing market for used cell phones and so several online stores and other resources have emerged to address this exact need in the marketplace. 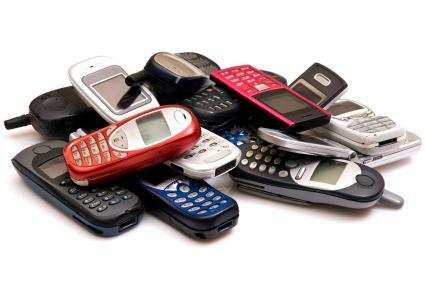 Catering specifically to Canadian customers, Retrocell sells a variety of used and recycled cell phones. All devices are call tested and they come with basic accessories including the battery and charger. All phones are rated on a five-point scale for condition. The phone offerings are organized by service provider, like Rogers or Wind Mobile, as well as having a section for unlocked phones. Prices start as low as $30 for basic older handsets. Shipping is a flat $5 for anywhere in Canada. Self-described as "your source for quality pre-owned phones," Cellular Country offers free shipping on orders over $150. All phones ship with a charger and battery, and they come with a 100% guarantee that they will function perfectly. The condition can range from being fully refurbished to have a lot of normal wear and tear. Phones are listed by carrier and by brand, with options to buy unlocked cell phones as well as wholesale cell phones. Basic phones like the Nokia 2610 start around $30, whereas higher end smartphones like the Nokia Lumia 920 list for nearly $700. Yelp reviews are mostly positive, with one user saying she "can't see any damage or marks" on a phone that was in "good" condition. Another user was pleased that he was able to find his phone "for a cheaper price compared to other cell phone sites." HowardForums is a popular online resource for cell phone enthusiasts to discuss everything related to mobile phones, but there is also a sub-forum to buy, sell and trade cell phones too. This is not an online store, so with this site you will be dealing with private individuals directly. As such, it is important to exercise great caution, particularly if the device has to be shipped and you cannot meet the seller in person. HowardForums is valuable in that many of the members are very knowledgeable about cell phones, so they may be better prepared to answer your questions than someone selling their phone on Craigslist or other sites that aren't specifically designed for technology enthusiasts. You must be a member on HowardForums in order to message other members about their listings. Not surprisingly, eBay is also one of the most popular sources of used cell phones on the Internet. There are both private individuals and eBay stores on the site selling used phones, so it is important to read the listing carefully before bidding on an auction or clicking on the "Buy It Now" button. Buying cell phones on eBay can save you money, but it also comes with its share of risks. Check the seller feedback, confirm the shipping costs and ensure that you are bidding on the correct item. That said, eBay does have some buyer protections in place and the PayPal integration makes the transaction easy too. Just as checking out a used car requires more than just a kick of the tires, cell phones need to be thoroughly inspected before purchase as well. Battery life: Before purchasing a used phone, do your best to find out how well the battery still holds a charge. Any rechargeable battery starts to degrade with prolonged use, and eventually will not "hold a charge" as well as when it was new. It is difficult to test this when buying a used phone, so you often just have to take the seller's word for it. As such, the age of the phone is probably the best indicator you can use. Wear and tear: It can only be expected that a cell phone will suffer wear and tear because it is a gadget that is taken just about everywhere and used just about every day. Check for scratches and chips to the casing, ensure that ALL the buttons are working as they should be and not "sticking". Also take a good look at the screen/display for any warping, dead pixels, and other damage. Accessories: This shouldn't make or break the deal, but it is always nice when the potential seller throws in a few extras like a car charger, protective case, extra memory cards, and USB cables. That said, a used mobile handset, at the very least, should come with a basic charger. Warranty: This is more for the "if worse comes to worst" situation, but if the phone still comes with a warranty that is transferable, you can rest a little easier knowing that you have a safety net in place, should anything go wrong with the phone. Certain online resellers of used cell phones may offer their own warranties, so be sure to read up on that carefully as part of your purchase consideration. Once you purchase your "new" used phone, you'll need to dispose of the old one that you no longer need. Recycling or donating your old phone to charity can be a great solution. Many recycling programs and charities will accept discarded mobile phones.